I'm sure they do Rob, but I think there's cruises and there's cruises! Yep, my last one was 8 months! My father was a Halton Brat in the mid-30s. He mentioned working on Bristol Fighters and a few versions of Hawker biplanes of the 30s as well, as they were being phased out of regular RAF service. I wasn't sure there would be much interest! Superb bipes that are not really kitted very much although I do see a Fury being recently released. If you go make sure you visit the museum at Ta Quali (or Ta Kali if you prefer) and also the Mosta dome where they still have the bomb on display in the church. Its funny but until I had a look at the Wickipedia ref, I didn't realise how big a "club" the old Halton Brats were. Seems Sir Frank Whittle was also a "brat" so its pretty good company! Can any body identify the seaplanes for me. I'm particularly interested in the RAF "Triple" taken in Plymouth and the Italian "push me pull you" that was apparently a local passenger and mail plane. Lovely pictures, really like them a lot. About your question about them flying boats. I think the Italian is a CANT Z 501, the British should be a Blackburn R B 3A Perth. I think you are spot on with the Blackburn Perth but I think the Cant isn't quite right. 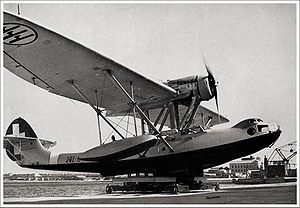 I've just been through the Wikipedia list of Italian flying boats but didn't find anything similar. Perhaps its a bit older than we think, I was only looking at 1930's stuff. 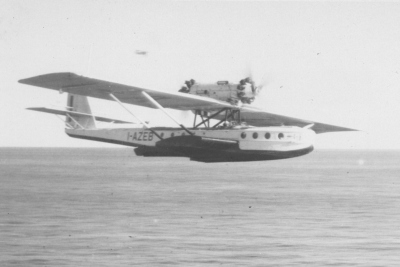 I started looking for this one and soon found out that there are a lot, and I mean a lot, of different waterplanes in those days. Some real good looking also!! That's a pretty incredible plane. Very interesting link. Looks like my one had some big radials, seems everybody had a go at bolting their engines on them. Yep Rick, I went through the entire list of Italian Seaplanes on Wickipedia and you are right there are a lot! Some really interesting stuff from the downright weird to really elegant designs. Well that's another one solved! Awesome! Over used yes I know...........but pics like these are always interesting to me. Well we are modelers so I think I speak for most when I say that. Pictures (especially with a connected story to them) are always interesting; especially so to modelers. Good show Phil! Those were some fantastic photos, thank you for taking the time to upload and share them! Thats the interesting thing about the Dornier Wals. Just about ever one of them appears to have been a one-off. At best they may have build a half dozen for one customer that would be powered the same way. This one is one of the Italian built airliners, powered by Jupiter radials if I remember correctly. My refs are all buried in boxes so I can't check. Thanks Brian. I think even if you are not into anything I've posted here modelling -wise, its interesting to see some of the between the wars stuff. You are more than welcome Frank, glad you enjoyed them. The Wickipedia entry for them is pretty interesting. Seems they used them on Trans-Atlantic passenger flights and also to South America from Spain. I've been back through and edited some of the entries that people have kindly identified for me. 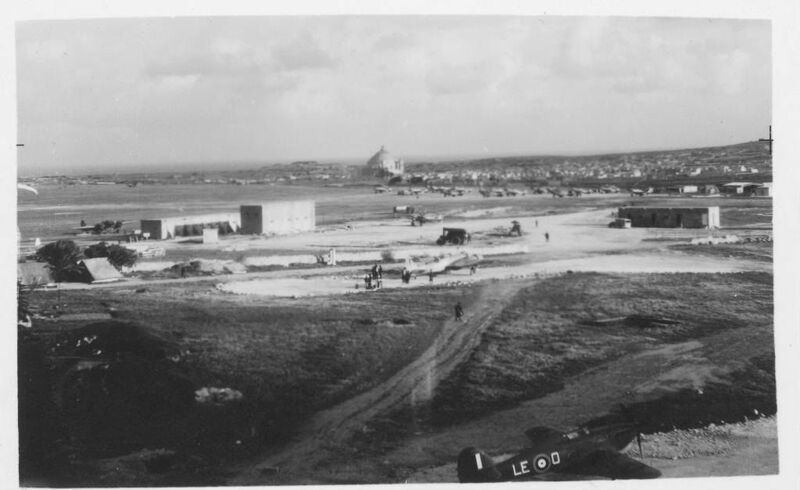 I'm also going to try and scan the Malta airfield picture in in high res later and play spot the aircraft. the VC Trop is VERY interesting! is that one of those rare dark navy blue birds that are always talked about? and WHAT about the fuselage underside?? surely there is no way oil / gunk can go all the way up the tail wheel? Edgar, please chime in with your thoughts if you are there!! 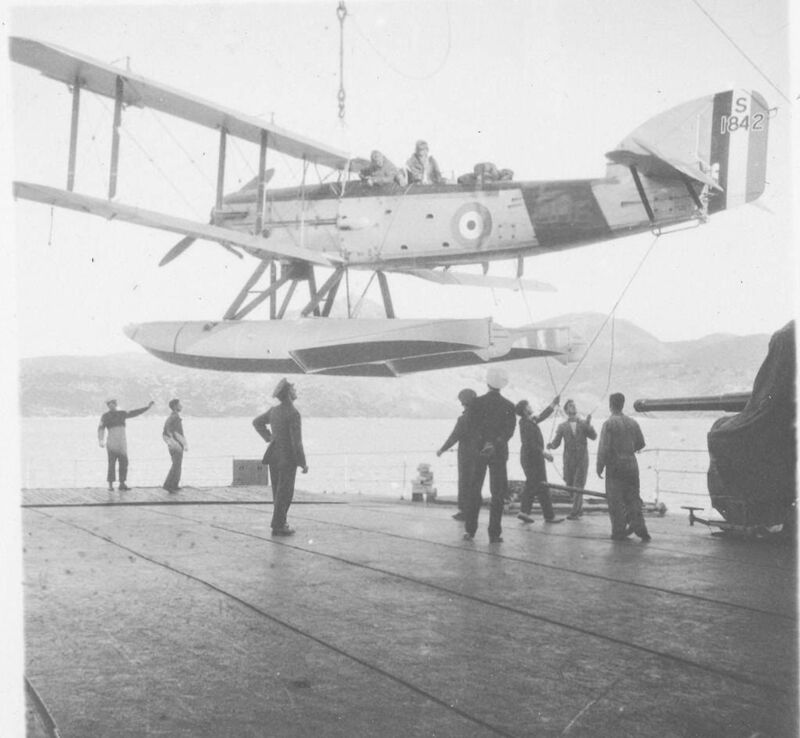 Bringing a float plane on board of 823 Squadron in Drapano Bay. You will have to help with the A/C Type! Hi Phil, lovely photos. That one is a Fairey III - need to check which version!! Instinct says IIIF but I have the Air Britain book at home. Some interesting aircraft if you look closely. Is that a Hurricane NF? I don't think so - probably in Dark Earth/Dark Green camouflage. I think we do need Edgar here. I have scanned in the photo again at 1200 dpi so here's another look. Its as good as I can get it. 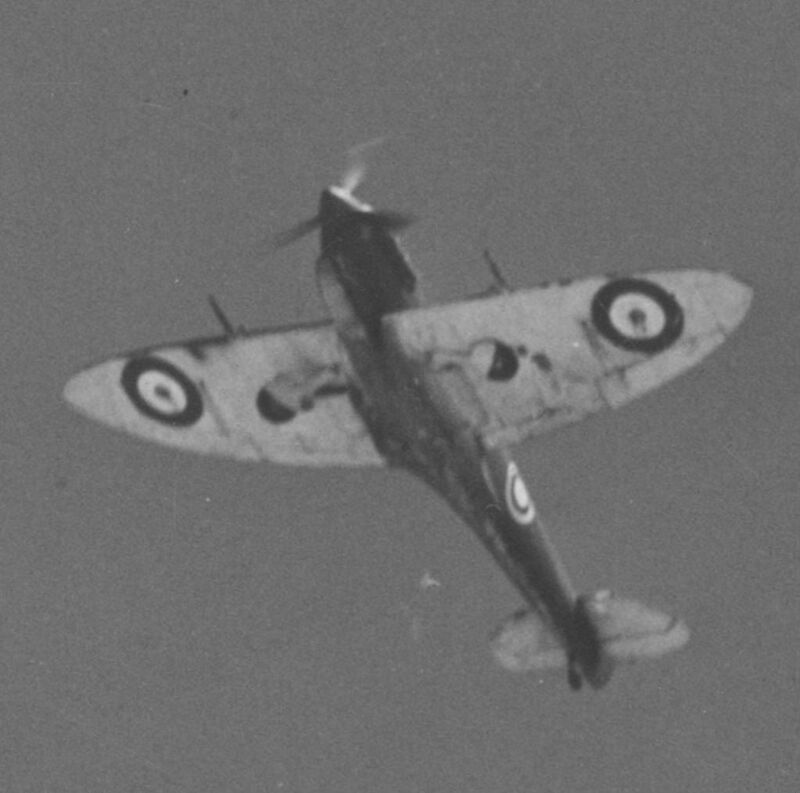 I have been going over Brian Cull's excellent book "Spitfires over Malta". The first Spits arrived on the 7th March 1942. They were operational on the 10th "wearing 249 Squadron's newly painted GN markings which had been hurriedly applied in white paint" So much for the codes police eh! In the book's photo's there is one of an aircraft BP845 doing a low pass alongside Eagle after take off for the first "delivery" and it is clearly a camo scheme and wearing the "older" style roundels. Edgar can help with when they were changed. I have heard about one of the deliveries to Malta having Spits in the overall dark blue scheme. I think you have to be careful looking at my photo as it may well be that from the angle it was taken and in bright sunlight the camo scheme demarcations may not be visible. It doesn't appear to have squadron codes (the individual letter) but that was not uncommon as they were rushed into service upon delivery. Obviously we don't know when "my" photo was taken. As regards the "Oil" underneath, I think it is oil. In bright sunshine with the underneath in shadow it may appear darker than it really is. You can see the volkes cowling is fairly clean as well. As an aside I was watching "Countryfile" on the beeb last night and there was a piece about the Battle of Britain with old film. One part showed some Spits peeling off and one of them had very similar streaks and marks underneath. Its a fascinating subject especially when you read the book and have a look at the photo's of the Spits which were incredibly varied in schemes and codes etc. There are also numerous variations of the cannon placements. Some inner, some outer even one with four cannons!